Choose from a selection of 6 holiday rentals in Gmina Wicko. Use the search form to the left to filter the results and pick your choice of self catering accommodation in Gmina Wicko. We have a good selection of holiday apartments in Gmina Wicko perfect for family, single, romantic and group holidays. You may prefer to take a look at our listed holiday villas in Gmina Wicko or holiday apartments in Gmina Wicko. Find your holiday homes by a specific type using the property type drop down in the filter. Filter the holiday homes in Gmina Wicko by a specific area using the area list above. 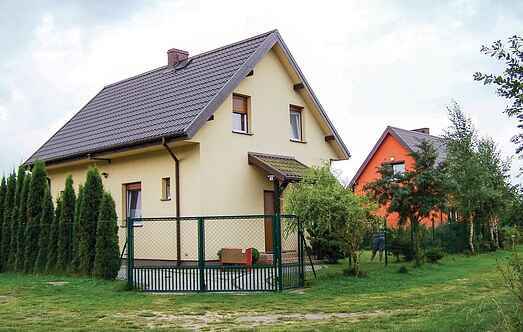 Cottage in Nowęcin is located in a residential area with green areas. It consists of two levels and is simple and practical. 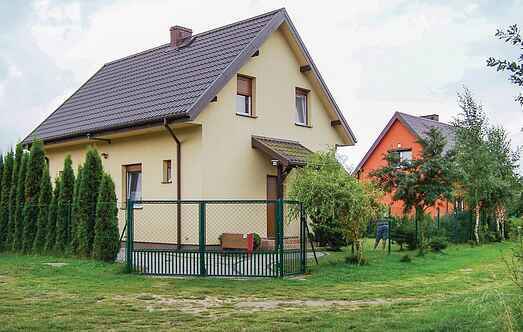 They have a large plot with garden furniture and barbecue. This apartment is located in the picturesque town of Leba. There is a shared outdoor pool and playground. On site you will also find a restaurant and a shop. This cozy wooden holiday home is located in Sarbsk. The house is practical and comfortable. There is a sandbox and swing on the plot. This house is located in the small village Sarbsk (Sarbske) and is practically furnished. Here you can take surfing lessons. This compact wooden holiday home has a covered terrace with garden furniture.